Home »TYPES OF LIGHT»Ceiling Lights»Best Style of Ceiling Lights for your home? Buying a ceiling light, sometimes this is easier said than done. Which is the best ceiling light for your room and how do you find the most suitable design? Lighting Retailers often assume that their customers know all the trade jargon relating to light fittings. We know that this can lead to confusion. For example ‘up lighters’ can mean wall lights, floor lights or ceiling lights. We aim to provide you with a glossary of terms that may help in your search for the perfect light. Different types of lights perform different functions and some are more suited for specific rooms or applications than others. Ceiling Lights are lights that are fixed to the ceiling and connected to your lighting circuit via electrical cables. Often these are positioned in the centre of the room, although large rooms may have one at either end of the room. The purpose of a ceiling light is to provide general illumination (or light) within the room. This can be achieved by direct light or indirect light. There are so many different styles. Let’s start first with the basics. 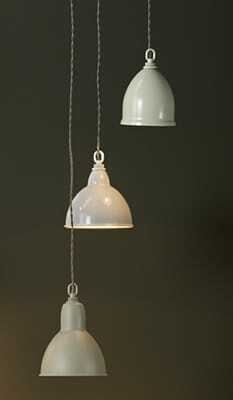 Pendant Lights are suspended or hanging lights. Pendants can suspended on chains, wire and even rods, but normally pendant lights are any type of light that drops down from the ceiling. This phrase can cover Chandeliers, traditional lantern lights, modern cluster lights and so many more. 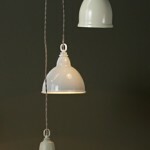 However, most people think of pendants as a single hanging light or light shade hanging from a cable. Recessed Lights are lights that are sunken into the ceiling or wall. 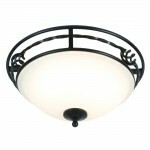 Recessed ceiling lights are great for bathrooms, kitchens and hallways. Often modern in design they are designed to be unobtrusive. If you have a more traditional home that calls for a little more charm them you may wish to opt for a stunning ornate cast recessed light from our specialist selection of recessed lighting. Flush Lights are lights that fit flat to the surface of the ceiling. Strictly speaking ‘Flush Lights’ are not flush at all, they sit a little way proud of the ceiling. A layman’s description may be porthole lights or bulk head lights. 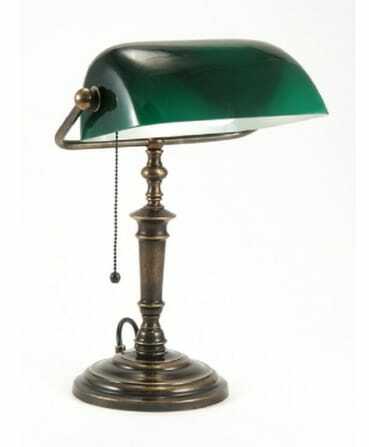 There are so many more decorative styles now other than the basic utilitarian style lights of the past. 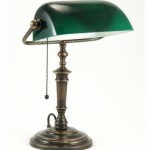 There are some delightful modern flush lights for consideration from the excellent selection at The Lighting Company. Semi Flush Lights is the generic term for lights that are hung a little way down from the ceiling. Often these are like a bowls suspended on chains or rods. Semi flush lights of this shape are great for use in period homes, art deco, art nouveau styling is seeing somewhat of a revival and semi flush lights are great in this situation. There are some very modern semi flush lights, if you have a modern home then this may be best for you. 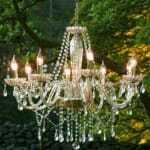 Chandeliers often we think of chandeliers being crystal in a traditional style, however chandeliers can be highly contemporary lights too. Ultra modern Chandeliers are decorative as well as giving light. In traditional Chandeliers you expect a light fitting with multiple arms often shaped to resemble candelabra or candles holder type fittings. Lanterns are mainly transparent glass hanging lights but can also have art glass or coloured glass too, nearly always traditional in style. Originally lanterns would have housed candles. Candles were very expensive and only the ‘well to do’ would have them burning away for no reason. The wealthy showed off a little by hanging lanterns in the hall way and often fitted glass to the top of the entrance door, so that passers by could admire the status of the homeowners. Lanterns are still very desirable today and the use is no longer limited to the entrance hall. On trend uses for lanterns is in conservatories, dining rooms and more popular of all, in the kitchen above islands and tables. Ever popular and ever practical, lanterns are sure to remain a classic investment buy. Double insulated, class 2 lighting. If your home has no earth cable you may be advised by your electrician to buy class 2 lights. Often the electrician will suggest plastic basic lighting, but you may be delighted to know that there are more attractive double insulated lights in our ranges. The class 2 double insulated range does not require an earth cable, and has the little square within a square symbol that denotes the safety regulations. There are a vast array of lighting styles but what if many of the lights are simply not suited to your home? Perhaps you have a heritage home which has restrictions that stress you must have lights in keeping with the period of your home? Don’t worry there are solutions to every lighting requirement, www.lightingcompany.co.uk can help. We hope this little insight helps you. You’ll find further helpful information on the frequently asked questions pages. Next → Next post: Get Garden Ready!